Missing one week at the opening of the Hotel Marina Fano and its Blu Marina Restaurant. We are warming up the engines, this year we are more loaded than ever because we are working on some innovations that we will propose to you during this summer 2019. So from April 12th we start! Easter weekend on the Adriatic sea? In the meantime, if you want to book your Easter weekend, directly on the sea in Fano, you can do via Request a free and personal quote here. 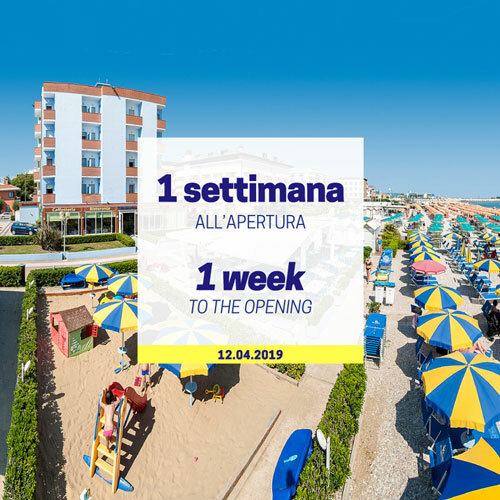 If you want to know the events that will take place in Fano in the coming weeks, consult the official Tourism Portal of Fano. The Adriatic sea in spring is beautiful. Obviosly it is not hot to take a bath but for walks on the shoreline is top!